A state-of-the-art Safe Room that holds 820 people and that can withstand wind speeds up to 250 mph. Surveillance security monitors strategically located throughout our facilities and continually monitored. School-wide notification system in case of an emergency or intruder. Controlled entry including automated electronic door locks on every outside door. Students are taught to never open an outside door for anyone. Internal doors are closed and locked at all times. Screening of all visitors using Hall Pass Management System. Comprehensive background checks on faculty and staff and "Safe Environment" course requirement for faculty, staff and volunteers. Comprehensive crisis management and emergency preparedness plan. Faculty, staff and substitute teachers receive training each year. Monthly fire drills and periodic tornado and intruder drills for the entire school. AEDs (Automatic External Defibrillators) are located in several places in the school including the nurse's office and gym. 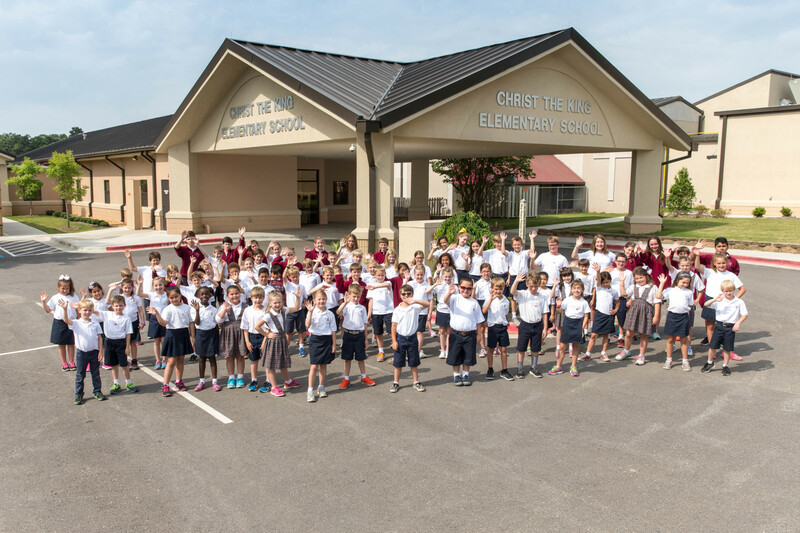 Sixth grade students are invited to participate as members of the CTK Safety Patrol, keeping students safe by helping them get out of the car at morning drop-off.